Looking for the best SNES emulator for windows 10 PC? This post has an answer to your this question. There is nothing much to say about the competition Nintendo and SEGA that was undoubtedly one of the fiercest rivalries regarding the entertainment and games. Since 1990, these two major brands have been at each other’s back with the SNES and the SEGA Genesis providing new and upcoming options for gaming. While there is a possibility that numerous options for SEGA consoles will be enabled for the desktops, this cannot be denied that the SNES consoles are not lagging behind and that is precisely what we are going to discuss today. Note: The purpose of writing this post is to educate users about best SNES Emulator for Windows 10 and how to play SNES Games on Windows 10 PC. The GeekerMag do not support and endorse privacy in any way. The comparison between SEGA and SNES games is surely an interesting topic of discussion as both the brands have given us some of the best and the most fantastic video games. SNES is till now considered to be one of the most significant victories that Nintendo has ever had in the field of consoles and gaming. Surely you have heard about the fantastic games such as MarioKart, Metroid Prime and The Legend Of Zelda and so many other Nintendo masterpieces. And with this, it is undoubtedly proved that the commercial success of SNES is far greater than the SEGA Genesis. What we are trying to look over here is the SNES9x that is one of the best SNES emulators and has almost the same user interface like that of KEGA Fusion. It is continuously updated with amazing compatibility, no matter what game you throw at it. With a 64-bit variant and a 32-bit variant, this model is somewhat different from the KEGA Fusion. And what works for it is the availability of SNES9x is with the Linux, Mac, Windows. 1. Download SNES Emulator from the official website. 2. 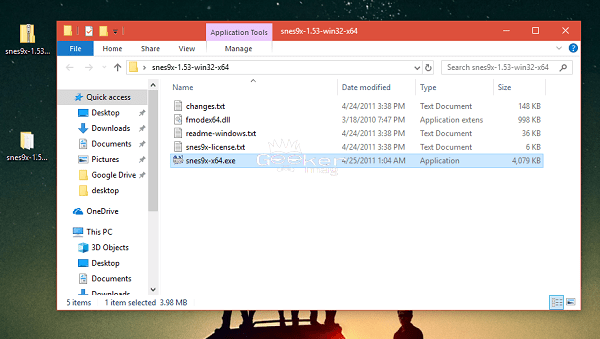 Extract Zip file, and you will get the folder for same. 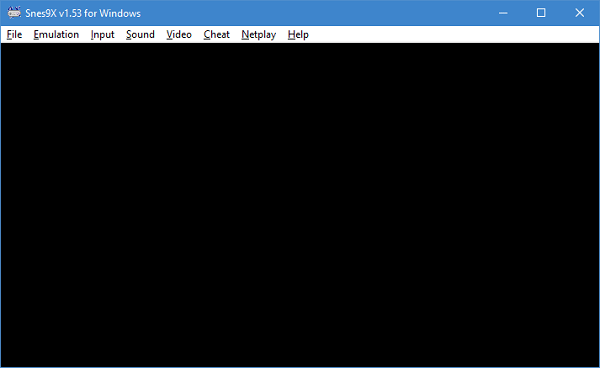 Inside the folder, run the snes9x-64.exe file and this will directly launch the SNESx9 emulator. No installation required. Note: While opening a SNES9x program, if system error which reads “d3dx9_38 was not found” or related, then first you need to install DirectX on the system. Use this link to download DirextX. 1. 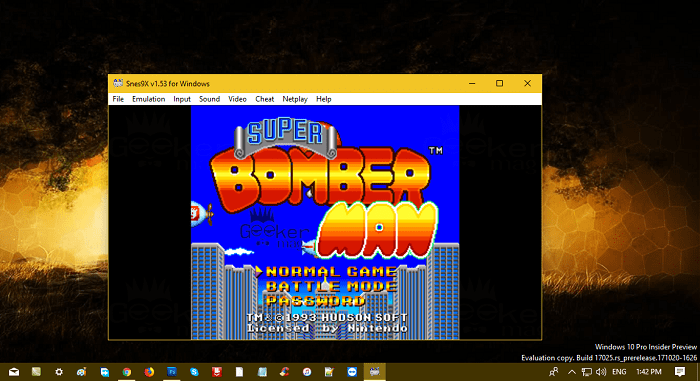 Run SNES9x program on Windows 10 PC. 2. In the toolbar switch to Input -> Input Configuration. 3. This will launch an Input Configuration box. 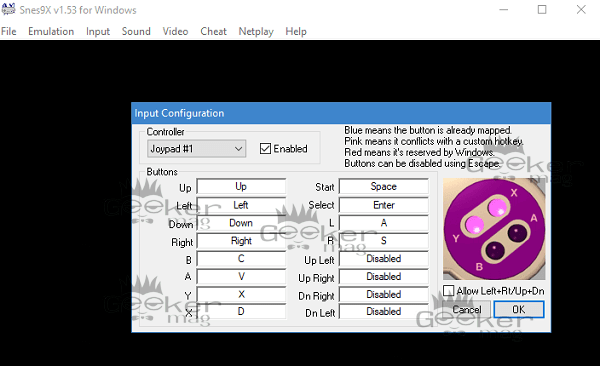 Here you need to click on Controller drop-down choose a particular joypad for the respective players. For example Joypad #1 for the first player and Joypad #2 for the second player. In case, you’re using third-party gaming controllers likes DUALSHOCK 4, you need to ensure that they are properly installed on Windows 10. Press the button that says ‘Enter’ and you will have all that you need. After the completion of the procedure you will be directed to the ‘File’ location on the ‘Toolbar, ’ and after that, you can load the game of your choice. To load the game rom you need to click on File -> Load ROM -> Navigate to the direction of your system where you have saved the ROM. Click to Select the ROM and then hit the Open button run the game. There is no need to extract the archive files as you can directly run the game. Once you have selected the Game Rom, just sit back and relax and the rest of the job will be done by emulator itself. 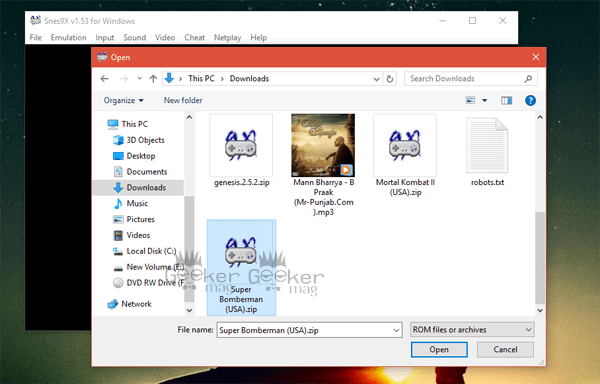 With the growing competition, there has been an increase in the number of SNES emulators but not to worry as the SNESx9 emulator is still considered to be the best SNES Emulator for Windows 10 in the lot. While playing the game, if you want to enter or exit the full-screen mode, just press ALT + Enter keyboard combo to do that. It works great even on 16:10 | 16:9 displays without making a game look blurry or stretching a single pixel. There are lots of websites available on the internet from where you can download ROMS of SNES Emulator games. In this article, I’m not going to mention a link to any website because of the unlawful nature of the content distributed on the various ROM sites. 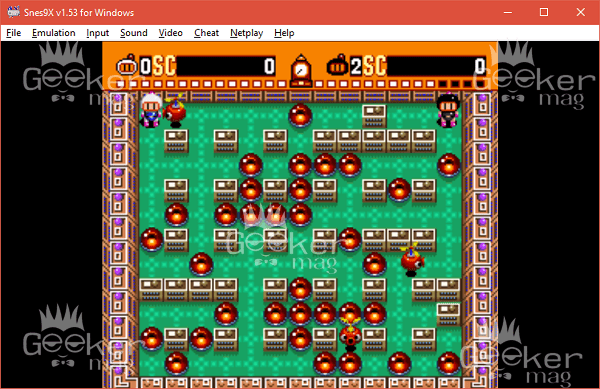 SNESx9 is one of my favorite SNES emulators for PC running Windows 10 and other windows operating system. In case, there are other emulators available which you’re using already, then let me know in the comments so that other users can also try them. 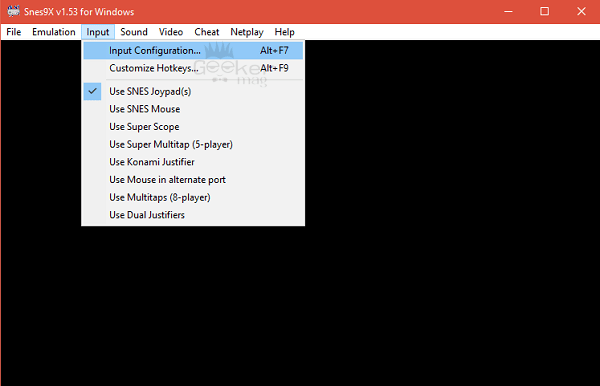 I hope you this article on ‘The Best SNES Emulator For Windows 10’ useful. Let me know your thoughts in the comments. byuu’s higan is a lot better. Just google “cycle accurate emulator” and you’ll see. Higan is not better. 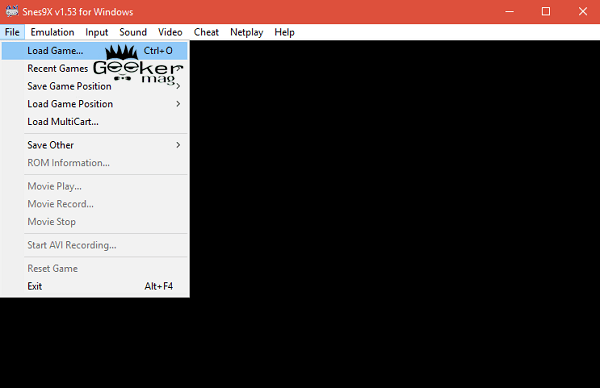 Higan (current state) has frame drops when vsync is on. Byuu probably hates it so much that he even took the vsync option from the menu. 🙂 I used Higan for a long time before trying Snes9X again, and I would say Snes9X is better.